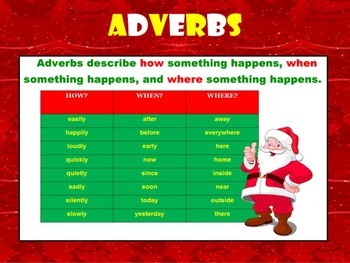 This colorful Christmas Themed SMART file has everything you'll need to teach an engaging Adverbs with Santa lesson. 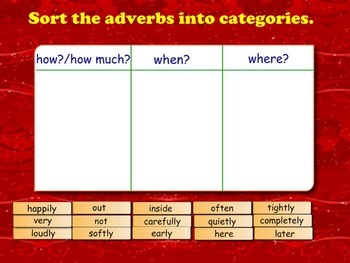 All the needed resources are attached to the SMART file. 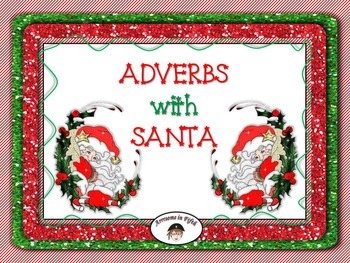 Resources include: adverbs mini-lesson with explanations and examples, video, worksheets with answer key, partners activity, interactive activities, and a fun Christmas themed adverbs coloring sheet. 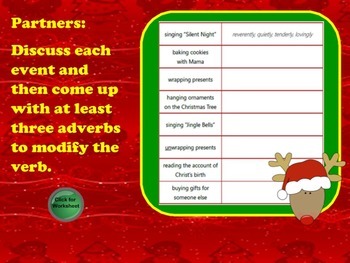 Please check out my TPT store, Arrrsome in Fifth, for more ELA resources and lessons. Thank you!